Complete the exercise following the instructions listed below. I. Create a simplified set of tests in your Hexawise account according to the guidance below. This exercise will give you exposure to a couple of the main screens in Hexawise. II. Create a plan called "First sample test scenarios" and save it in a folder called "Training test plans". 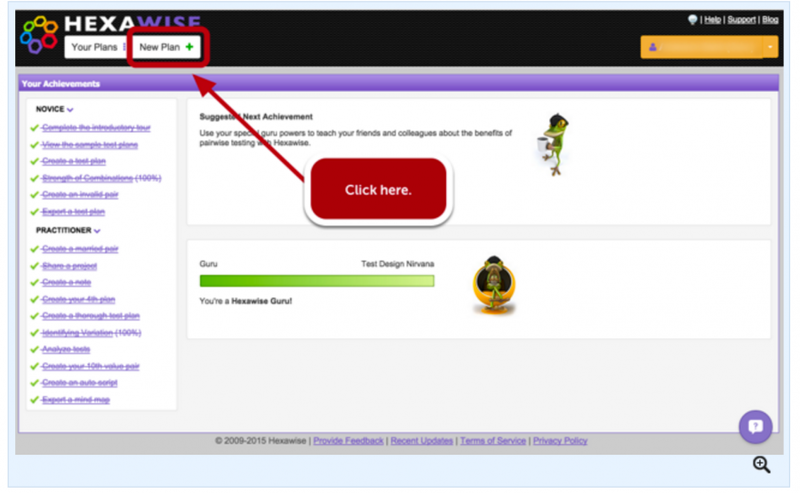 If needed, see Hexawise's test plan creation help file. III. Once you have entered your Parameters and Values, click on the "Create Tests" button and use the note feature to document your answers to these 3 questions before you share your plan. First hint: the answers to the first two questions are clearly visible on the "Create Tests" screen. Second hint: the answer to "how many total possible scenarios is revealed only if you hover over the "i" icon on the "Create Tests" screen. IV. Share your updated plan (that should include your answers to the 3 questions above in a noteinside the Hexawise plan) with instructor@hexawise.com by following the instructions located here.